Trick or Treating can be an overwhelming experience for little children. With the scary costumes, haunting decorations, strangers roaming about and the desire to get all the candy imaginable; it can be tiresome and down right hectic. 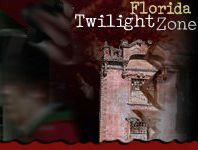 Floridahauntedhouses.com is the perfect place to find Safe Trick or Treating locations all across Florida. These locations offer children a friendly experience while taking out the dangers of roaming the streets and excepting candy from strangers. Whether it be at a school or designated safe location, Safe Trick or Treating is a perfect way for your child to enjoy the Halloween season without overwhelming them.